Tim and I took a trip up to my new flat in Cardiff a couple of weeks ago and obviously I couldn't have gone without diverting into the city centre for a spot of shopping! I didn't pick up too much but I thought I'd show you guys the few bits I did get because there were some very exciting things (in my opinion anyway). 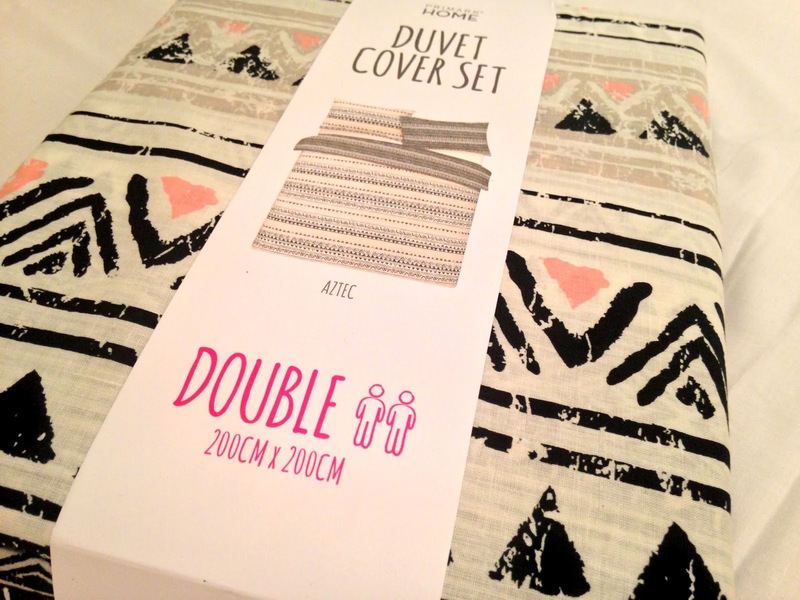 Let's start with the (potentially) least exciting of the bunch - my new duvet set! I've had my eye on this beaut set for a while, ever since I saw it in Primark's Tottenham Court Road store. 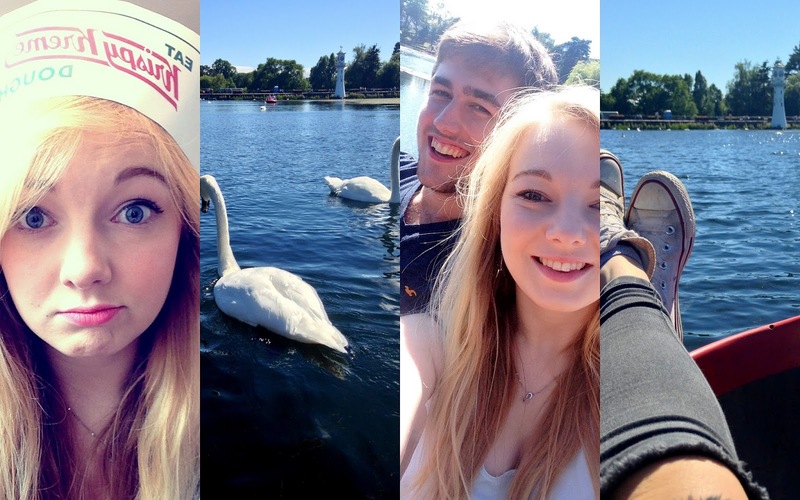 When I got to Cardiff I realised I had no duvet cover for my bed with me so perfect opportunity to pick up a new one! It only set me back about £10 and I absolutely love the print and colours. I also love that it's totally reversible for if I fancy a change of bedroom scenery with very little effort put in! I felt slightly pressured into buying this next item (LOL pushover!) but I'm actually so glad I bought it. Cardiff has a new Models Own pop-up store in St David's shopping centre so I decided to have a bit of a nosey. One of the staff members came up to me immediately and was talking me through all the new products and said that I would get a free gift for just having a chat. Now I'm not one to turn down a freebie (especially a make-up related one!) so I went along with it but DEFINITELY felt the need to buy something else with it! I picked up a nail polish in the shade Colour Chrome Indigo for £5 and I'm so in love with this metallic colour. I'm a little disappointed at it's lasting power but I'm determined to find a top coat that'll prolong it! Any suggestions, please do let me know! The freebie, in case you were wondering, was a 4-in-1 nail file with a nail buffer/shine etc. The last item was a bit of a naughty purchase, but it's something I've had my eye on for a while. I've heard so many things about the Estee Lauder Bronze Goddess fragrance and as soon as I smelt it I was in love. Nothing like your usual floral/fruity fragrances, this perfume is a holiday in a bottle. I was going to ask for this for my birthday (6th September if you were wondering), as it usually retails at just under £50, but The Fragrance Shop had 21% off and so I just couldn't resist! And look how beautiful the bottle is!